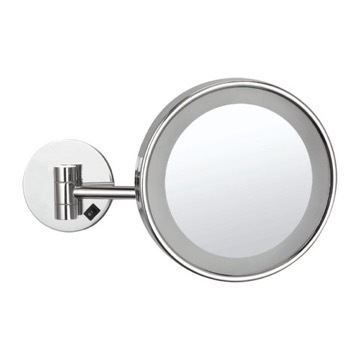 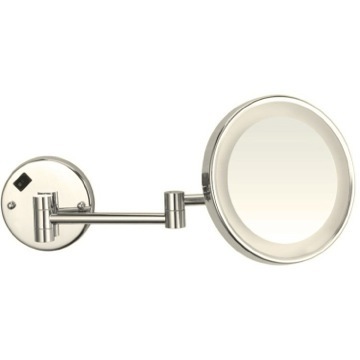 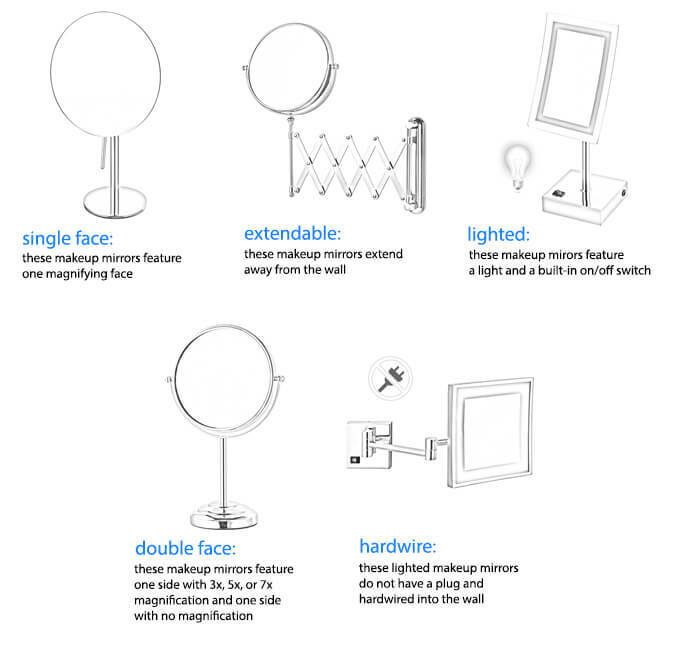 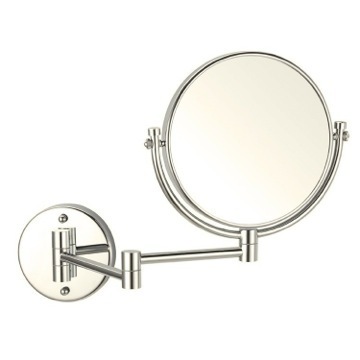 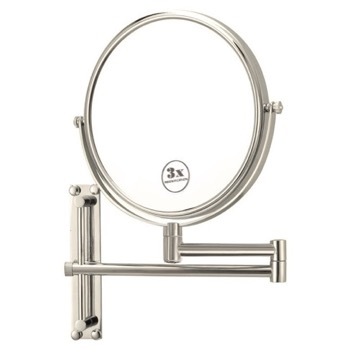 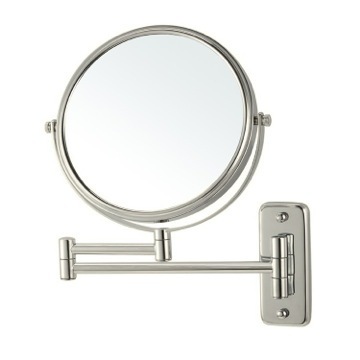 This wall mounted makeup mirror is crafted out of high quality brass and comes with a gorgeous satin nickel finish. 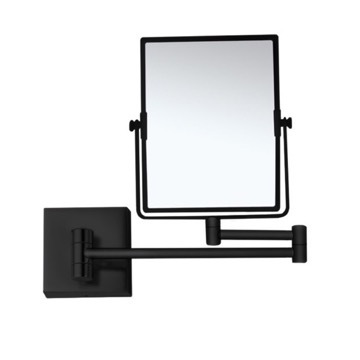 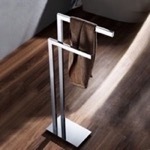 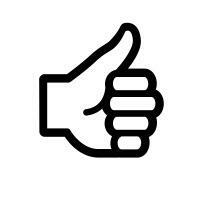 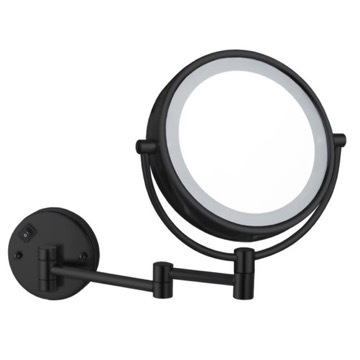 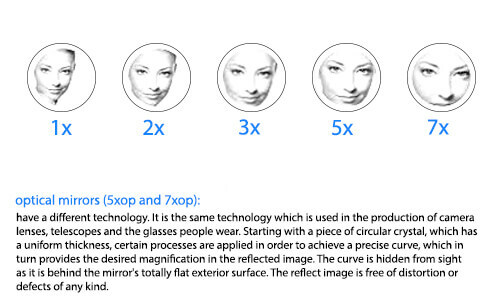 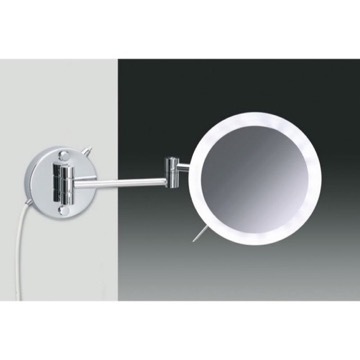 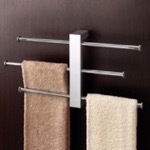 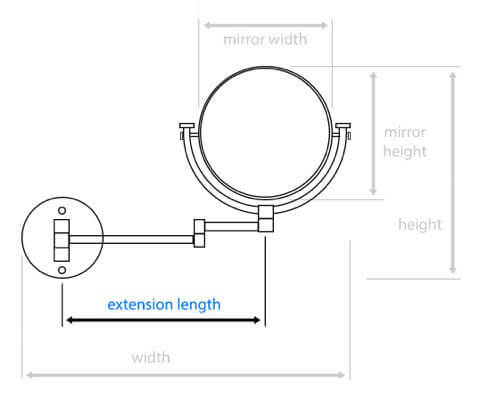 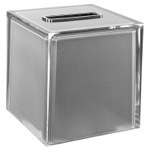 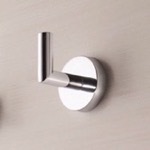 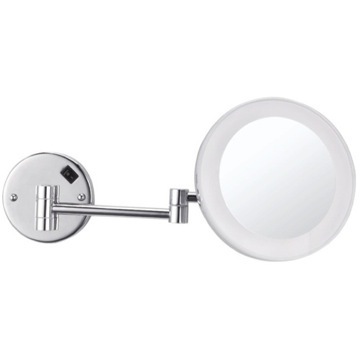 Its 5x magnification face comes in a trendy square shape and mounted onto a double extendable arm. 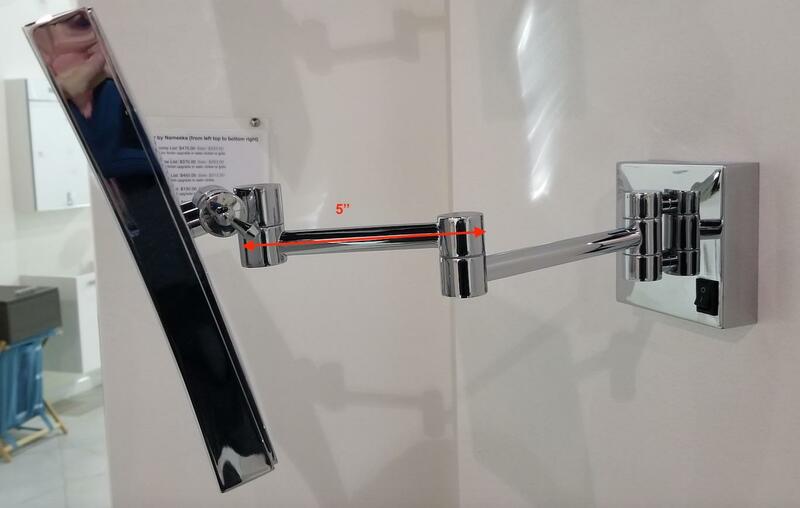 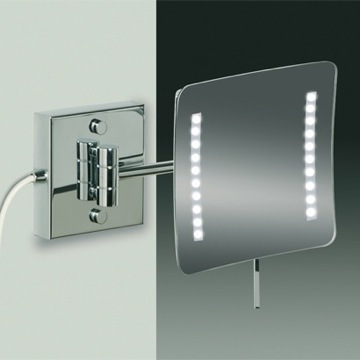 This model also comes with incredibly useful built-in LED lights, and the whole package is the perfect fit for your contemporary bathroom. 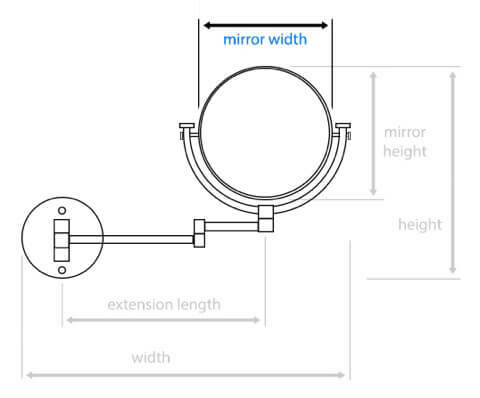 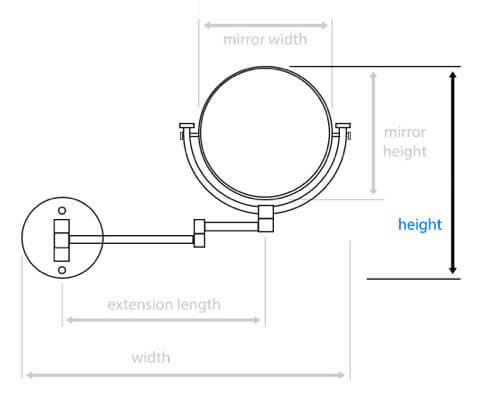 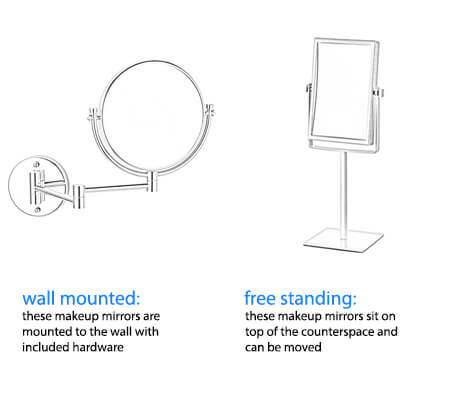 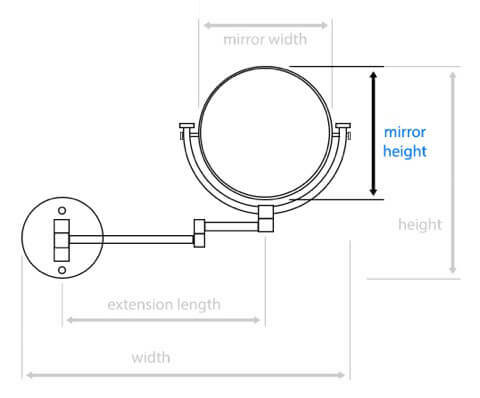 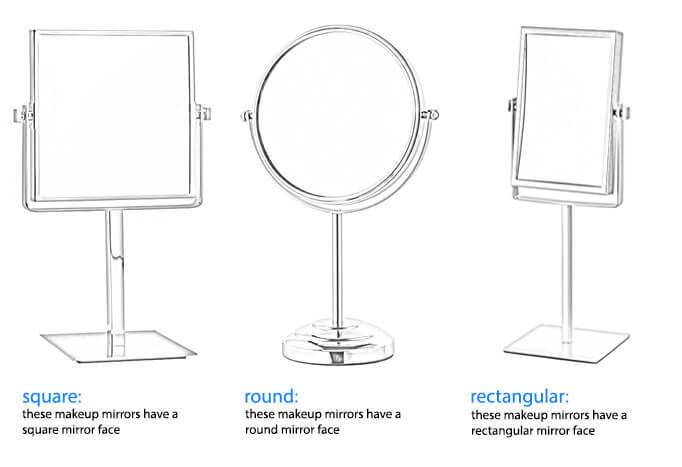 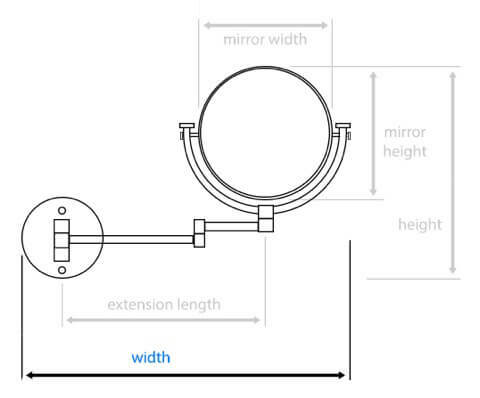 Wall mounted, adjustable, 5x magnification makeup mirror made of brass. 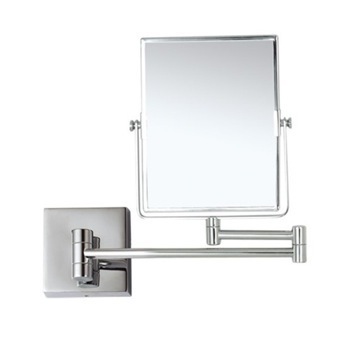 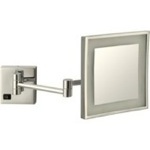 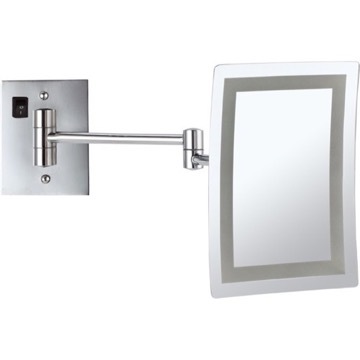 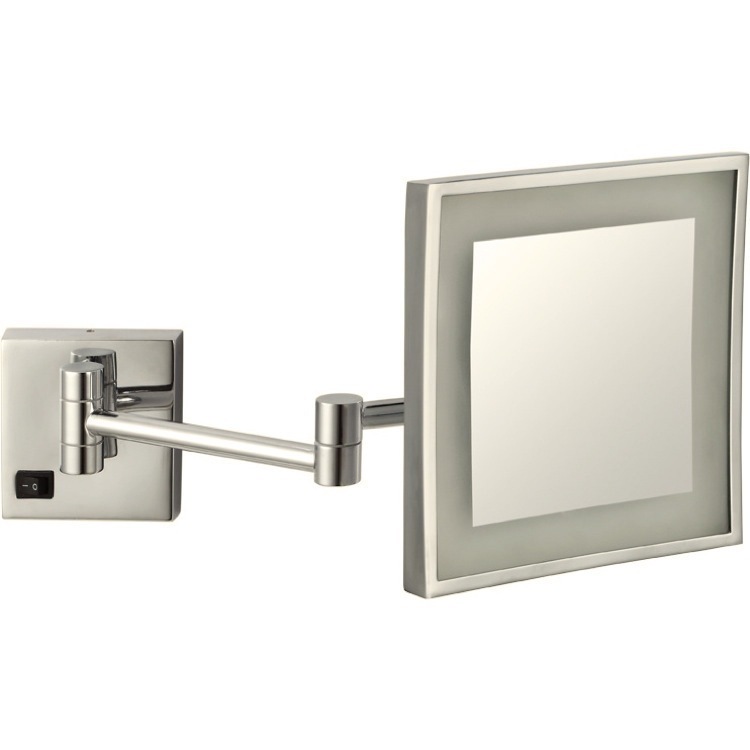 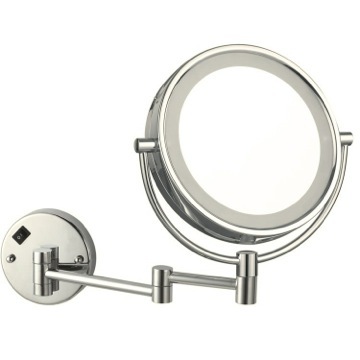 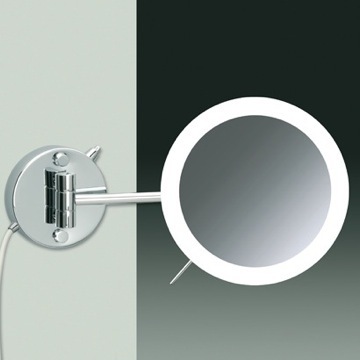 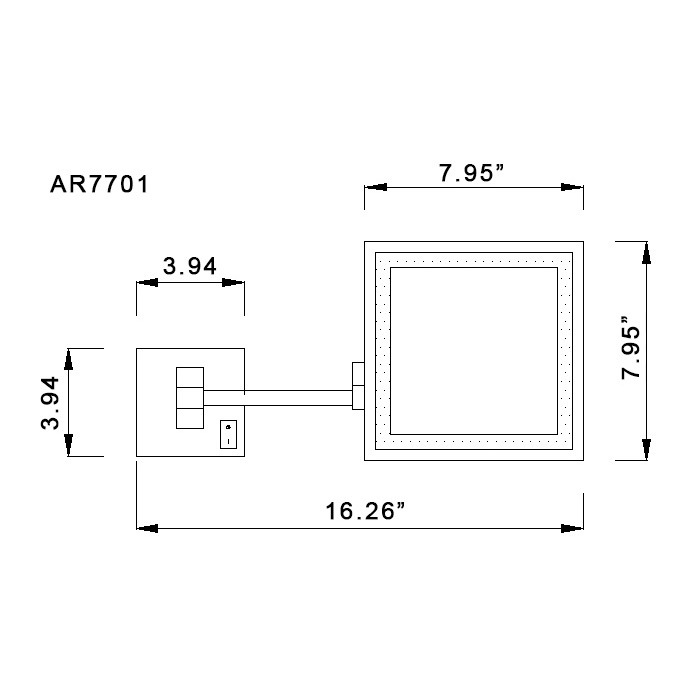 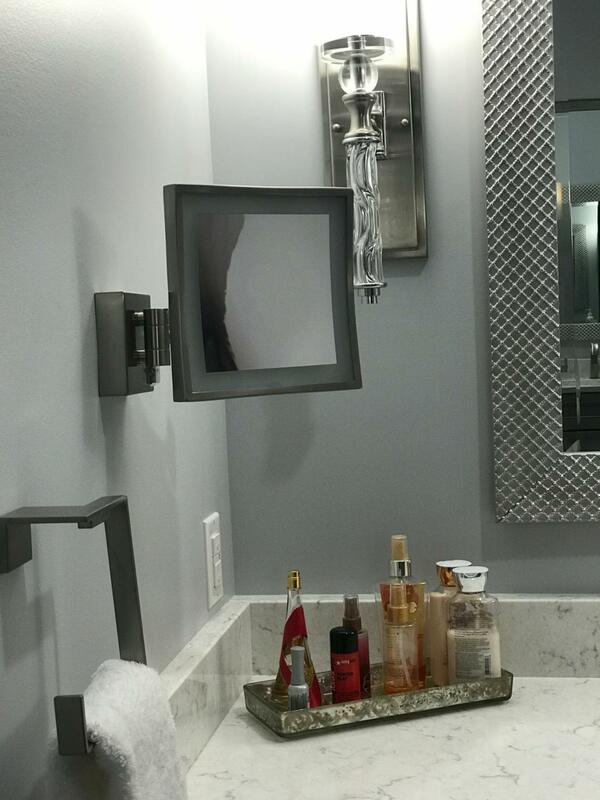 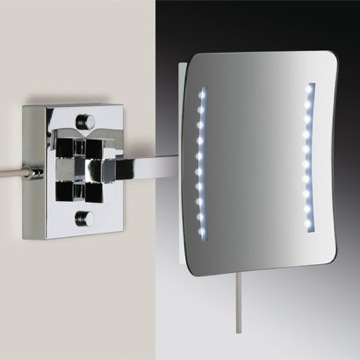 Available in a satin nickel finish, this square single faced mirror features a built-in LED light.